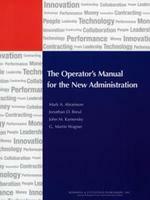 The IBM Center is releasing an update to its 2009 “The Operator’s Manual for the New Administration” for the use of new executives in the federal government. This updated chapter reflects statutory changes since 2009 and provides insights on how executives can improve performance in their agencies’ programs. Assess Your Performance Framework. Harvard University’s Robert Behn describes a performance framework as a way of thinking about the leadership challenge of producing specific results in organizations based on a collection of general, cause-and-effect principles, supported by some operational hints for implementing these principles. Much of your first year in office should be devoted to understanding the performance framework of your organization so that you can track progress on your organization’s performance and results. You won’t be starting from scratch. Your predecessors also tracked performance. Your job is now to make sure that the information currently being collected by your organization is useful to you in both your decision-making capacity and performance manager role. Due to the numerous demands on your time, you should select three to five priority areas on which you will personally monitor your organization’s performance. You should place your emphasis on your most important organizational goals. However, your organization will also be addressing a wider range of goals, many of which will not require your attention but still must be done. Under the Government Performance and Results Act, enacted in 1993, each federal agency is required to develop both multi-year strategic and annual performance plans that include agency goals and measures. The recently revised Government Performance and Results Act requires each federal agency to revise its multi-year strategic plan during 2013 and update their existing priority goals. These will be due to Congress in early 2014. It also requires you to designate a chief operating officer – oftentimes this is your deputy -- to help you lead and oversee your agency’s performance and results. One of your first requests to your staff should be to review your organization’s existing strategic plan. Over the next year, you may need to revise the strategic plan to link to the president’s priorities. You will also benefit from the experience your staff has gained over the last decade in both strategic planning and performance management. Technology has also enhanced organizational capability to use performance management to track organizational progress toward agency goals as reflected in the organization’s strategic plan. Create or enhance the performance framework: What would it mean to do a better job? Drive performance improvement: How can you mobilize your people? Learn to enhance performance: How will your organizatio change to do better? Clarify and articulate your organization’s mission. Behn recommends that you “proclaim—clearly and frequently—what the organization is trying to accomplish.” A key to your success will be ensuring that you “get the mission right” and then articulate it. Establish a specific performance target. This involves specifying what new level of success you desire for your organization. Clarify the link between target and mission. This involves clearly articulating how meeting the performance targets you establish will help your organization accomplish its mission. Trigger corrective action. In your managerial role, you can use the information collected to make changes in your organization’s performance to eliminate performance deficits. Motivate your employees. As discussed in the Memo on People, one of your key responsibilities is motivating and rewarding your employees. Performance management will tell you which of your managers are exceeding the performance targets you established and should be recognized and rewarded. Plan and budget. As discussed in the Memo on Money, one of your major challenges will be using performance information in the budget process to allocate resources within your organization. Identify and encourage “best practices.” Based on the information you collect, you will begin to see that some components of your organization might be performing better than others. This will give you the opportunity to share the best practices of high-performing components with other components that might not be performing as well. There is an old saying that “if you don’t know where you are going, you will never get there.” This is truly the case of managing in government. If you do not have a performance framework (which includes your goals and objectives) in place, you will not be able to track where you are heading and agency progress toward achievement of your goals. In order to track agency progress, you will need to either put a performance management system in place or use the system now in place. This report describes the challenges of measuring “unobserved” events – such as tax cheating, drug smuggling, or illegal immigration. It offers five statistical methods for measuring these kinds of events and shows how this can then be used to track progress, set strategy, and allocate resources. The goal of this report is to provide practical approaches, practices or strategies that agency program managers can apply. By sharing compelling stories of how agencies are developing, growing and sustaining their analytics and performance-management approaches, the report sheds light on key steps and processes that are transferable to other agencies. A number of federal agencies were surveyed to identify best practices in data analytics and performance management. This report points to the importance of analytics in measuring agency performance. The authors emphasize that data collection is only the first step in turning data into usable information — moving from data points to decision points. This report examines federal agencies that are using data-driven performance reviews to improve agency effectiveness and efficiency. It draws from practices of agencies, including state and local governments. It serves as a “how to” guide for setting up and running data-driven performance reviews. It also lays out who needs to be involved, how to organize the meetings, what kinds of performance information should be collected, how to run the meetings, and how to follow up afterwards. This report provides examples of outcome-oriented performance measurement systems in place around the country, describes findings from these case studies, and offers practical recommendations on how to develop useful outcome-oriented measurement systems that other communities - sponsored by either government or community indicator projects - can act. Dr. Metzenbaum’s premise is that performance information should be used to improve performance, not just report performance for accountability purposes. She offers a series of recommendations to the President, the Office of Management and Budget, new agency heads, and the Performance Improvement Council on ways to make performance information a vital element of success. Many of these recommendations were incorporated into the 2011 amendments to the GPRA law or into OMB guidance. Read our other Operator's Manual Blog,an update of Chapter One: Leadership.